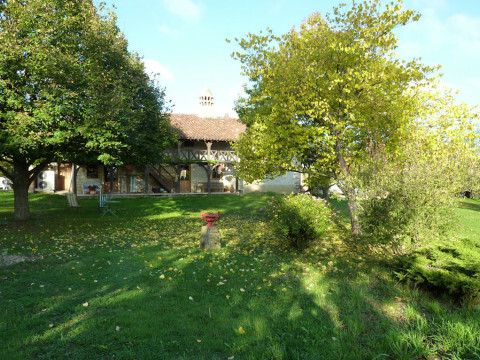 Agnès and Maurice receive you in an old Bressan farm of the eighteenth century in the heart of Bresse in Saint-Julien-sur-Reyssouze. You will notice it thanks to its imposing Saracen chimney typical of the region. Located in the department of Ain, La Bresse enjoys a rural environment and is renowned for being a region of savoir vivre and gastronomy. We put at your disposal an independent room, for 2 people. Designed on the theme of the beautiful era it is full of charm, has a bathroom and a separate toilet. It will offer you a view of the garden with trees and flowers that slopes gently down to the river. A full breakfast will be served in the main room or on the terrace in summer.